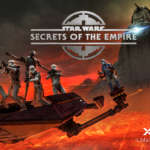 Tickets are now available for a new hyper-reality experience, Star Wars: Secrets of the Empire by ILMxLAB and The VOID at Walt Disney World and the Disneyland Resort. The experience will debut at Disney Springs in Florida on December 16th and Downtown Disney in California on January 5th, 2018. 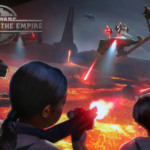 Star Wars: Secrets of the Empire is described as transporting guests deep into the Star Wars universe, walking freely and untethered throughout the multisensory experience with friends and family. 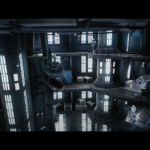 In groups of four, teams will go undercover as stormtroopers to capture Imperial intelligence vital to the budding rebellion’s survival. In addition to the ticket announcement, a trailer for the experience has been released. Tickets are available at thevoid.com for $29.95 per person plus applicable fees. As the experience is not located inside a theme park, park admission is not required. The VOID is part of Disney’s Accelerator program which seeks to support emerging technology companies.